On 04/19/2015 at about 3:34 PM, several Sheriff’s Deputies responded to a reported fight in the area of Halyard Lane and Halyard Court in Diamond Springs. The caller stated the fight was between at least two males with a female trying to intervene and a juvenile screaming. As the deputies responded, the call was upgraded to an assault with a deadly weapon because baseball bats, screwdrivers, and two more people became involved. Associated vehicles were a white Chevrolet pickup truck and a white Ford Expedition. The truck was described as having couches in the bed. In the front yard of a house in the 3000 block of Halyard Lane, deputies located an intoxicated shirtless Louis MacDonald who had scratches on his face and torso. The 36 year-old transient was uncooperative with investigating deputies. Deputies wanted medics to check his injuries but he refused. Several possible witnesses were contacted in the area. No one claimed to have seen a fight or be directly involved in the incident. Deputies walked the old railroad tracks towards WalMart looking for people who might have participated or were injured in the altercation. The old railroad right-of-way is an area frequented by transients. Deputy Nick Cortez found a screwdriver in the vicinity of Louis MacDonald however no one claimed ownership. Deputy Cortez recovered the screwdriver and booked it for safe keeping. No baseball bats were located. 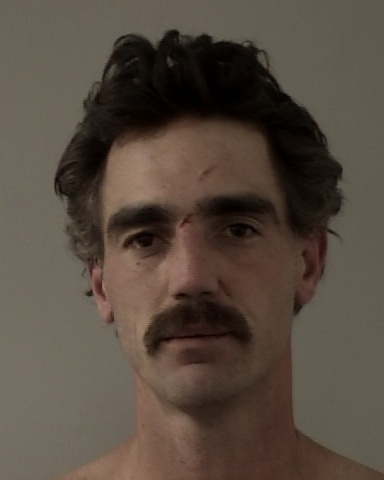 Due to the level of his intoxication, Louis MacDonald was taken into custody for Public Intoxication and booked into the El Dorado County Jail. The fight is still under investigation.